Take a seat in Simone’s hairdressing salon, help Laura to repair a hacked food machine, and work with Auvo to design the world’s tallest wooden skyscraper! The exhibition Seven Siblings from the Future focuses on the future city of Jukola. The exhibition is a joint project between the Finnish Science Centre Heureka and the Finnish Innovation Fund Sitra. By focusing on the lives of seven siblings of the future who live in Jukola, the exhibition examines matters related to wellbeing, mobility, food and housing. The exhibition begins with a short video about the seven siblings and their home. After that, visitors are introduced to Jukola, the cradle of environmentally sustainable living. The exhibition is interactive and games-based, and consists of 21 different exhibits that deal with future themes. Visitors are invited to help the siblings make choices in their everyday lives. Each sibling has their own set of values that guide their choices. However, the final choice in all situations must be made by you, the visitor, based on your values. Which sibling is most like you? All the choices you make during the visit are stored in your electronic wristband. So from the feedback you get at the end, you’ll learn quite a lot about your own values based on your choices. At the same time, you’ll find out which of the siblings holds values that are closest to yours. Once you receive your personal feedback, you’ll hear what the Finland of the future looks like. The aim of the exhibition is to get people to reflect on the best direction that the future could take, and to think about how each of us can help steer the world in this direction through our own choices. 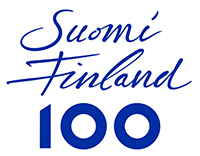 The exhibition Seven Siblings from the Future in Heureka is part of Sitra’s 50th anniversary celebrations and of the official programme in honour of Finland’s 100 years of independence.